This is the first ever F&B Xmas gift guide! I have planned three guides in this series: Gifts over £25, Gifts £25 or under, and Gift under £10/Stocking Fillers. 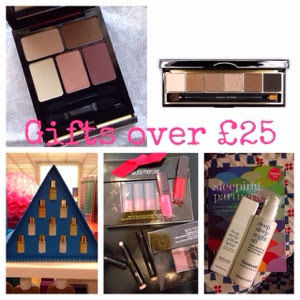 Today, I start off with the Gifts over £25. I have only picked 5 gifts in this category, as I feel that under the current economical climate, let's be realistic - we are all trying to spend less if possible, but value for money, so for this over £25 guide, I am not going to go crazy here. If you are crazy about Kevyn Aucoin like myself, but struggle to get anything from them because of their high price tag, this is the perfect time for you! 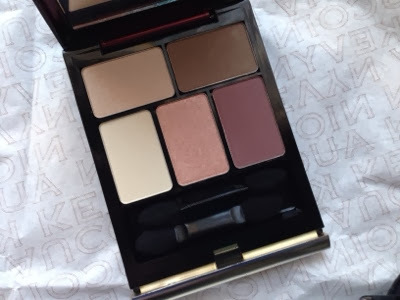 Kevyn Aucoin manage to put their star products into this little sleek elegant palette. They also throw in an eye pencil & a makeup pouch too! I have a full blog post with detail watches & description, you can check it out here. If you have missed out their Rich Chocolate Eye palette a few months earlier (my blog post here), this is the second chance that Bobbi Brown have given you. Their Limited Edition Smokey Warm Eye Palette, in my opinion, is very similar to the Rich Chocolate palette. This palette has one less colour but the range of warm brown shades are very similar. It is a great day-to-day neutral eye palette. 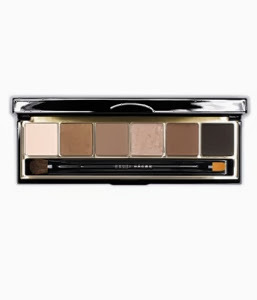 If you prefer cooler tones, Bobbi Brown also has a Smokey Cool Eye Palette in the same collection with more grey-based shades. Need I say more?! 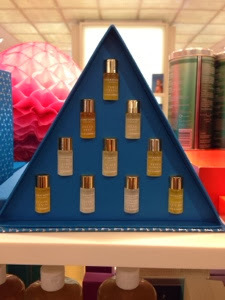 Aromatherapy Associates' essential oils selection are the best! It turns any baths into a home spa experience with just a couple of drops of their beautiful oils. This Xmas set has 10 of their signature oils, it will make an exquisite gift to anyone, even the men! 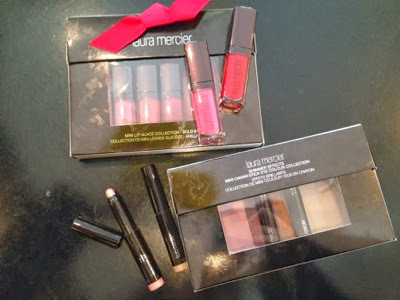 I really think Laura Mercier has excelled this year in their Xmas gift range, particularly all the makeup sets. I particular like their Mini Lipglosses Set & the Mini Eyesahdow Sticks Set. I got them a while back (my blog post here) and have been using them since! Especially the mini lipglosses! So pigmented and the colours are the beautiful! I have heard a lot of good things about This Works, in particular their sleeping aid range. 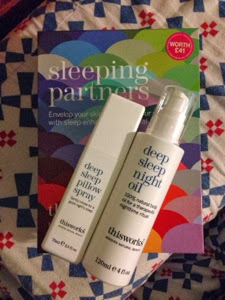 This Sleeping Partners Set is the perfect set to try out their products. The set contains a decent size Pillow Spray and a bottle of Night Oil. I have been enjoying the combo so far. I particularly like the Night Oil, with winter is coming and the air is getting dry with radiators at home, this oil keeps my skin hydrated with a lavendery soothing scent! As you can see, although they are gifts over £25, I do not want to go too crazy, I picked these items that they are a little bit pricey but still feel ok to spend on. I hope you enjoy this guide, and remember to come back this Friday for the £25 or under guide!